For as long as eLearning has been around, it has been haunted by the voices of those who aim to criticize its authenticity, viability, and quality. But is it true? Do students of traditional institutions boast more success than those who’ve chosen distance learning? It’s time for some of these myths to die. Every other arena in society- financial institutions, businesses, and government- do not avoid updating their procedures and protocols because of the fear of unreliable technology. The reality is that most distance learning software requires only an Internet connection and a computer. Fancy tools or expensive software has not bogged down eLearning. And for most people, their Internet connection and computer are very dependable. In recent years, the amount of social interaction between people has increased. With the explosion of social networks like Facebook and Twitter, many academic eLearning platforms have incorporated this type of software into their courses, giving people the chance to chat, interact, and enabling collaborative learning. In fact, eLearners have the opportunity to connect with people all over the world; something that a traditional classroom cannot offer. Computers haven’t replaced people. They simply make it easier for a person to reach a wider audience. The teaching profession will not suffer because of eLearning- quite the contrary- professors have more opportunity to reach students and branch out of their local school to reach the global market. Unmotivated students fail whether a teacher is watching him/her or not. While eLearning does not require a student to be in a certain place at a certain time, it still offers them access to the teacher and other classmates for help and support. The old saying, “You can lead a horse to water but you can’t make him drink,” is applicable to this myth. Students lacking the desire to succeed will fail no matter how robust the program or the teacher. Placing the blame on eLearning is foolish. eLearning is simply the catalyst for delivering information, it cannot be responsible for a student’s work habits. Have you checked out some of MIT’s open courseware? These classes are exact replicas of the traditional class syllabus. Students who embark on an eLearning class can receive the same instruction as traditional students. The quality of the curriculum is directly related to the instructor who put it together. The method of delivery (in this case digitally) does not affect its quality in any way. For years, administrators have tried to figure out ways to measure learning. Is it through exams? Success in the workplace? The ability to reteach the material? This argument is not exclusive to eLearning. Learning is a difficult thing to measure regardless, simply because there are so many different types of learning. But the truth is that eLearning courses have the same tools for measuring success as a traditional classroom. Sitting in a classroom listening to a lecture is quite passive. Those who sign up for eLearning courses must be more engaged because the responsibility is on the student to attend and interact. It is more intentional to type out a chat response to a teacher during an online class than to get called on in class while you are playing Tetris on your phone in the back of the room. eLearners are set up to be more active because they’ve made the choice to show up to their computer for the class, even when no one is formally taking attendance (that’s not to say that attendance cannot be taken digitally; it can). The real world is full of computers. The real world is much larger than a campus in a small town. eLearners have the opportunity to interact with people from all over the world. eLearners are more ready for the digital world that we live in because they never leave the real world to get their education. 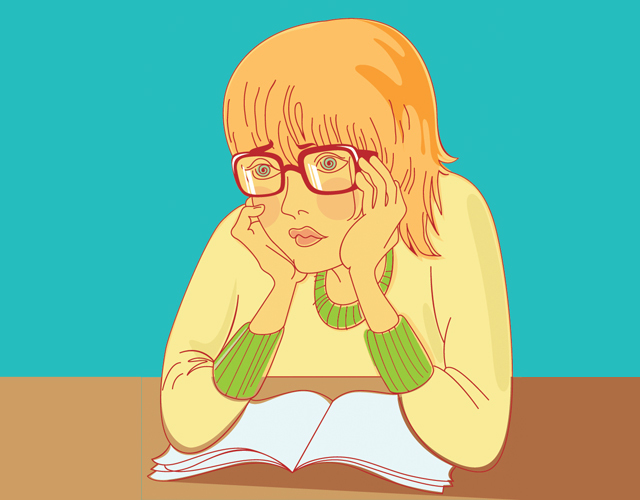 Editor’s note: Check out article on how online learning prepares students for the real world. This may have been true a decade ago, but the tides are changing. More and more employers recognize that distance education is proving to be as competitive as a traditional institution. Many graduates from eLearning classes are more tech-savvy, motivated, and self-taught. Expect to see more and more eLearning colleges and companies pop up as well as an explosion in matriculation. Traditional education will have to make a radical shift to keep up with private companies that don’t have to wade through bureaucratic red tape to bring robust curriculum to the population at a fraction of the cost. The fact is that eLearners have more time for extra-curricular activities! A student doesn’t have to drive to class and he/she can learn on their own timetable. This frees the student up to take an afternoon art class or participate in other activities that would otherwise be impossible because of a bogged down class schedule. It also makes it so that students can help with community projects that may occur during normal school hours. No doubt connections are important for job success. It is difficult to re-enter the job world after four years at a traditional institution. Distance learning doesn’t require the person to ever leave the job market. Education, job training, and networking happen simultaneously. In addition to this benefit, many online courses connect you with people that you would never otherwise meet in a traditional classroom. Since eLearners are filled with people who already have jobs, this means they usually also have connections. Online classes are still run by real people. People who are available via email, chat, text, or Skype. eLearning is fully customizable. It can work around schedules, handicaps, and other life events that traditional classrooms don’t make room for. For people who are naturally shy, eLearning might be the perfect opportunity to interact more. It is easier to type a question in a chat box than it is to raise your hand in a large lecture hall. In fact, many instructors who go the online route are more invested in their coursework and curriculum because of the possibility of reaching thousands and thousands of people. The concept of going “viral” has erupted in the last decade and professors want recognition for their expertise just as badly as anyone else. As more eLearning enters the market, the competition will increase and professors will have to put their best foot forward to entice students to enroll. The traditional route to college is littered with problems, not the least of which is finances. College is brutally expensive. Many intelligent and motivated students cannot afford to go. eLearning is not the lazy way out. It may offer a more flexible time commitment, but the student must be fully engaged in the learning process in order to succeed. This is an old label that doesn’t apply to current online learning. In the past, if a high school student dropped out, they might go online to get their GED. But now students are choosing online learning FIRST- because of the flexibility, reduced cost, and the ability to work while in school. Prestigious schools offer many online courses and the degree awarded is just as admirable. With today’s technology, students can learn through podcasts, videos, lecture notes, slides, text, group discussions, or real world experiments. The instructor and students aren’t limited to a classroom, giving each person the ability to study and grow in a way that suits their particular personality. The technology is largely cheaper than the cost to run a traditional institution. The cost of the software, Internet connection, and computer is a fraction of the cost of just one college level class. Online education teaches students how to communicate effectively. With the barrier of a computer screen, questions, discussion, comments, and other engagement must be well thought out, written clearly, and concise. Communication between classmates and their instructor can be as abundant, if not more so than a traditional classroom because of the social networking aspect of the software. It is true that eLearning classes must contend with Facebook, Twitter, YouTube, and millions of other digital distractions. But this is true for the real world. Students must learn how to balance their time, monitor their online habits, and set priorities. A traditional classroom is a bit of a fabricated environment. As soon as that student graduates and gets a job, he/she will have to learn quickly how to juggle the demands of real life and all those distractions. eLearners must do this from the start. Have you seen Google’s Chromebook? It is priced at $249.00. It is a laptop that is ready to go right out of the box and can handle nearly every type of tool and software an online learner would need. Most courseware is through the Internet. Even if the student has a slow Internet connection, Wi-Fi hotspots are all over the place and offer fast connection speeds. In the past, students at top schools like Harvard and Yale had access to professors and libraries that the general population could not get. But the Internet has changed all of that. Knowledge is free, abundant, and everywhere. The playing field has been leveled and the “elite” mindset is quickly fading as online courses are boasting huge success with students. The cost of traditional education is outrageous. Some scholars predict that we will see a crash similar to the United States real estate disaster a couple of years back. The reality is that traditional education is too expensive. It cannot be maintained. Online education is proving to be more cost-effective and just as successful for students. The entire academic world is on the brink of major shift. Universities may not fully be onboard with distance learning, but it isn’t because it’s an inferior method. It is for other reasons slightly less admirable. There is a lot of money in traditional education. There are a lot of politics as well. Some administrators aren’t willing to go with the changes ahead because it means the tower of elitism is crumbling. Make no mistake, there are online courses that are designed by some of the most brilliant minds on Earth. It doesn’t have to simulate a real life experience…because it is happening in real life. Traditional students have gotten used to compartmentalizing their lives, “School at this time, work at this time, family at this time.” eLearning has made it so that real life weaves in and out of the learning process. For many students, it is their first choice. The curriculum, the cost, and the ability to interact with people from all over the world is the reason why it will be the way to get educated in the future. Change is difficult. Traditional institutions have held a monopoly for hundreds of years. The academic sector has always been notoriously slow to catch up with technology, but one day- they may wake up and realize that the world has gone on without them. There is no question that there are costs involved for the institution to offer online classes. They must pay for the software, the server space, the instructor’s time, an IT person, etc. But even with hidden costs, the amount of money it takes to employ staff to run a traditional brick and mortar school? It would take thousands of dollars worth of hidden costs to ever make this argument a reality. eLearning is cheaper than traditional education no matter which way you look at it. When the Internet boom happened, there were all sorts of dire warnings about the effect on the eyes from too much computer time. But each year technology produces safer and more ergonomic designs. When the kindle first came out, the world marveled at the ability to read on a screen that looked and felt like a book. Computers are here to stay and you can be sure that companies will continue to adjust and modify their products to sell more “eye-friendly” devices. This argument can be said for traditional education as well. Whatever means we use to assess the success of a school we can use for eLearning as well. Distance education does not have limitations built into it. Proctored exams can still be offered to eLearners. Presentations before the class or an instructor can be done digitally. Any difficulty in assessing quality may simply be because the industry hasn’t yet figured out a way to accredit the rising number of programs available. But as eLearning becomes the way of the future, you can be sure they’ll be further credentialing of quality classes. If an online class is dubbed as “boring”, it is simply because the teacher did not do a good job designing the class. There is nothing boring about the way a digital class is offered. Students can chat, raise hands, ask questions, interact with the professor, and use the power of the Internet to research, find resources, and build presentations. If after the 29 reasons listed above, you still don’t think that online learning will become the way of education? Well then, I’m not sure there is anything I can say to convince you. We’ll just have to wait and see! Julie DeNeen has her bachelor's degree in Clinical Psychology from the University of New Haven. She spent several years working for a local Connecticut school at the district level, implementing new technologies to help students and teachers in the classroom. She also taught workshops to teachers about the importance of digital student management software, designed to keep students, parents, and teachers connected to the learning process. You can find out more about her @jdeneen4 and Google+. I am about to graduate this May from an accredited, online college, and I am super excited about it. I do not think that online learning is less than traditional learning. It takes much self-discipline to keep up with the work, as I am attending on a full-time status. The nice thing about online college is that, as long as your work and class time is done by the deadline, you can arrange your schedule to make it work. I am so glad not to have to brush snow off of a car or catch a city bus or sit through lectures (I’d fall asleep). Nice post! Thank you so much and congratulations! All these myths will go away when you visit an actual situation where e-Learning is being pursued seriously for example at wiziq.com. I have been teaching online and know for sure that once you are into this world all your questions will be answered and misgivings will die away. 3) Distance Learning as a cop out: This is a priviledged position where someone can afford to drop everything (or most things) and attend school on-campus. On-campus classes are not always at a good time (i.e. they conflict with your day job that pays the bills) Distance education, done right, enables learners to learn despite geographical and temporal limitations without requiring them to quit their job. Thank you for this excellent post! A friend of yours forwarded it to me, and it is so true. A colleague of yours shared your post with me, and I thought it was excellent. I’ve since passed it on to my colleagues and hope to get back to you about re-posting it on our magazine’s blog at the Elearning! Media Group. E-learning is the enhancement in education. #9 is still a battleground. In professional psychology, there is an active movement at the level of regulators and licensing boards to deny any distance education as part of foundational training. This battle is long from won. eLearning as well as technology, is evolving so quickly that we must rethought our ideas and concepts constantly. Distance learning is a great advance forward in making education more accessible to millions of Americans who would simply not have the time or resources to obtain a college degree or technical certificate. It allows people from all over the country, even in remote or rural areas to plug into technology that lets them learn, at their own speed and on their own time. Julie, you have no idea how many times I had to pull out articles like this from under my sleeve to convince incredulous executives that eLearning is a serious option to education. You captured every argument I have heard before and gave strong reasons in favor. Thank you.